The launch of a new social media platform for Bishop Ronnie Crudup, Sr., New Horizon Church International in Jackson, Mississippi. 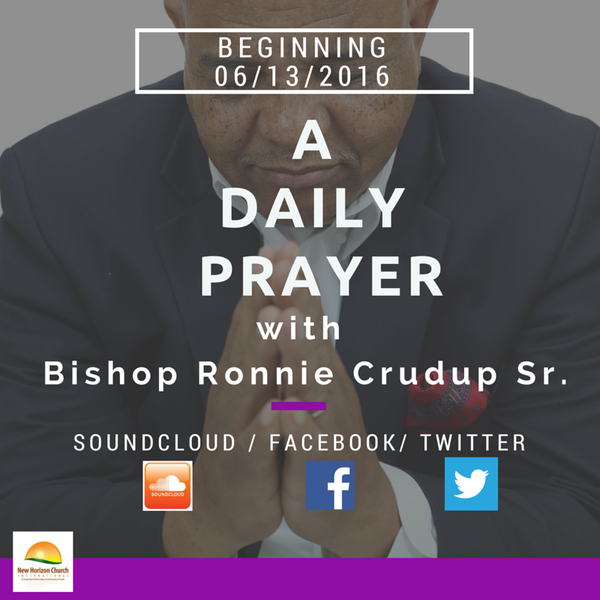 Each day, Bishop Crudup will share a short, succinct prayer to encourage the believers of Jesus Christ and offer hope to the unbelievers in search of a better way. Tuesday, February 14, 2017, A Daily Prayer With Bishop Crudup "Happy Valentine's Day!"